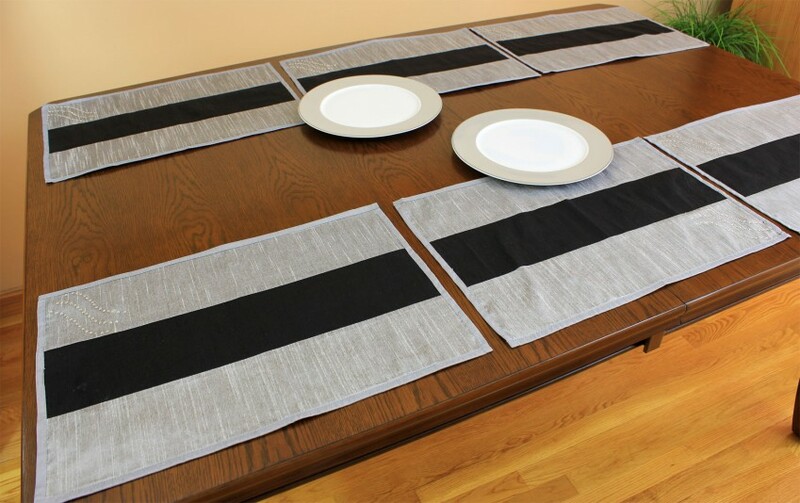 Create a unique look for your home with gorgeous and modern placemats with exclusive style. 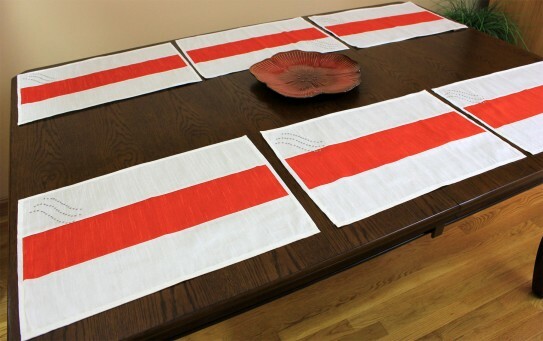 This beautifully designed placemat set comes in six pieces that will instantly add style and panache to your dining table. 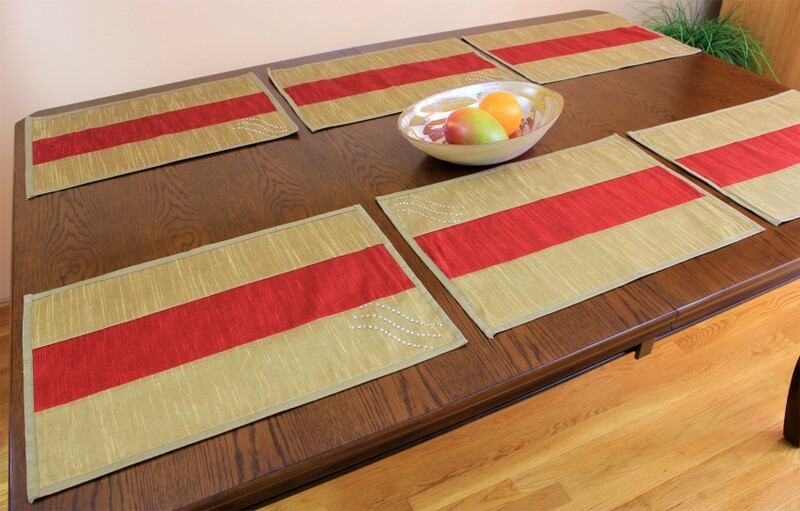 Used alone or with a table runner or tablecloth, the Sophisticated Two-Tone Embroidered Placemat Set will enhance your room into a more elegant look. 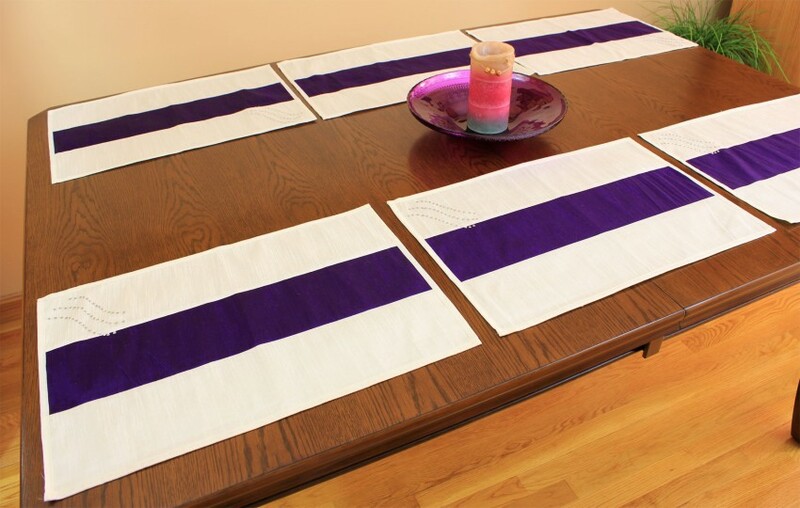 With such a unique design, you can be confident that these placemats are what you’ve been looking for to give your dining area that special touch. 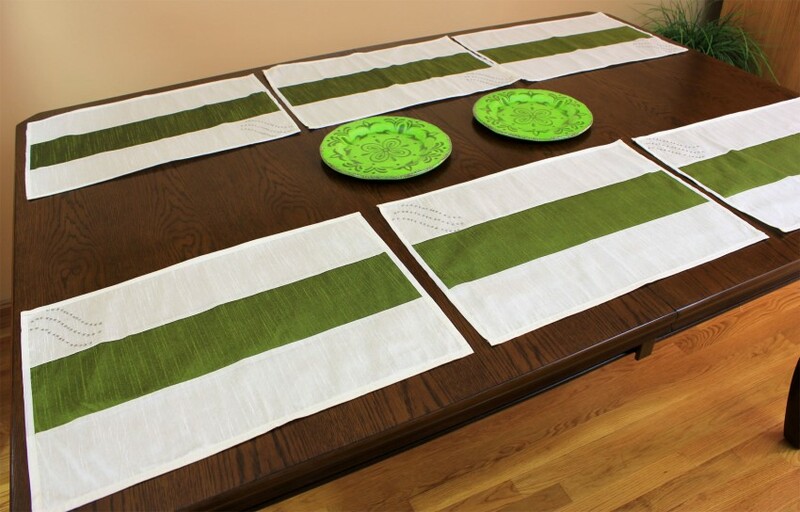 Perfect for both everyday use and special occasions, these versatile placemats will soon be your new favorite dining room accessory.